Parents always tell you that breakfast is the most important meal of the day, but when you have the option of sleeping in for a few more minutes or quickly stuffing food in your face, breakfast tends to be overlooked. Eating breakfast, even if it’s something small, can give a much needed energy boost in the morning and is also linked to a number of other health benefits. So whether one of your New Year’s resolutions is to start eating breakfast, or if you’re like me and have actually started to get hungry in the morning as you’ve gotten older, there are many easy, and even make ahead, recipes that will get your day off to a good start. 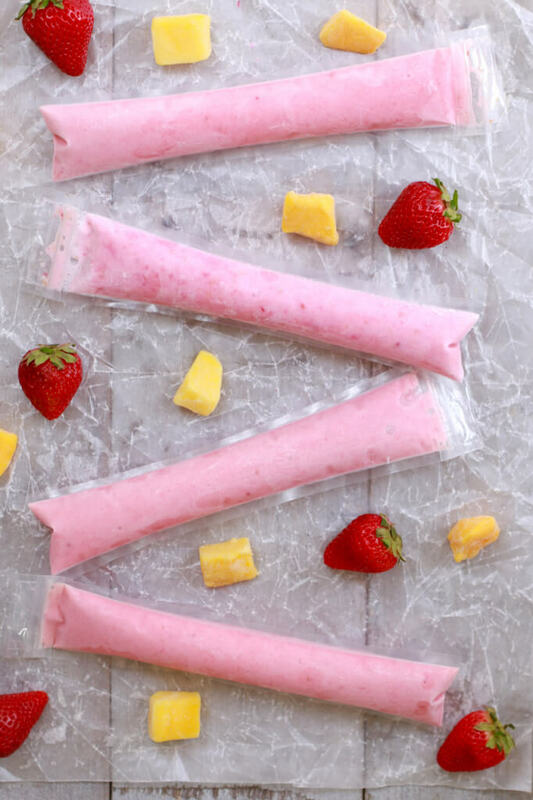 These frozen yogurt pops are one of my personal favorite go-to breakfasts. They’re very quick and easy to make ahead of time and freeze, and you can combine any type of fruits or other flavors you want. The yogurt pops can be eaten quickly if you’re in a hurry and can easily be taken on the go. The Greek yogurt makes it a very hearty, albeit small, breakfast that gives a good energy boost to start your day. Plus, it’s fun to eat a popsicle for breakfast and know that it’s homemade and healthy. There are so many different varieties of breakfast smoothies that it can be almost overwhelming trying to decide on the right one to try. This one is simple and hearty, combing raspberries, banana, milk, and a nut butter of your choice. But if raspberries aren’t your favorite fruit or you’d prefer using a different kind of milk, it’s easy to mix and match ingredients to make all kinds of different combinations. This isn’t the be all and end all of breakfast smoothie recipes, but it’s tasty and an easy one to get your feet wet in the world of breakfast smoothies. Breakfast sandwiches are some of the tastiest and most satisfying breakfast foods. They are also, thankfully, easy to make ahead and freeze to be reheated at a later date. Though there is definitely meal prep involved in these, they can be made at night and enjoyed all week for breakfast; they just need to be reheated quickly in the microwave. This recipe lays out very clear, thorough steps for preparation and reheating, and the ingredients can easily be swapped out for others depending on personal preference. These are also great to heat up in the morning, take on the go, and enjoy on the way to work. Thank goodness for avocado toast. It is one of the quickest and easiest breakfasts to make, and there are an infinite number of combinations of ingredients you can use to dress up your toast. This is just a basic recipe to get you started, but once you master the original avocado toast, the sky is the limit. Unfortunately, avocado toast isn’t a good make ahead recipe because avocados tend to brown in the refrigerator, but it’s one of the quickest and simplest foods you can whip up in the morning and can be taken on the go too. The theme with most of these recipes is that the ingredients can easily be swapped out for others that you might prefer, and these overnight oats are no exception. While these contain peanut butter or another nut butter of your choice, there are loads of other overnight oats recipes that contain other ingredients you might prefer. This recipe is gluten free and vegan, so it can be enjoyed by almost everyone. Though it does need to be made the night before, the prep work is minimal and doesn’t require any cooking or equipment, aside from a jar and some measuring spoons. Though a breakfast casserole isn’t the quickest breakfast option, it is one of the easiest and tastiest. This isn’t a good one to make if you’re in a rush, but you can make it ahead, store it in the refrigerator, and heat it up over the course of a week. The best thing about this casserole, though, is that you can put almost anything you want it in. Aside from the eggs, all the ingredients depend on your preferences, so you can make it as healthy (or unhealthy) as you’d like. The bread in this particular recipe really adds something unique, so I advise to leave it in. If you have some extra time in the morning or don’t mind doing some meal prep at night, a breakfast casserole is definitely the way to go. Muffins are delicious, but they’re not always the most healthy option for a quick breakfast. However, these blueberry oat muffins with Greek yogurt have no butter or oil and are sweetened naturally with honey. They are a hearty and healthy breakfast food that will make you feel like you’re having dessert for breakfast. 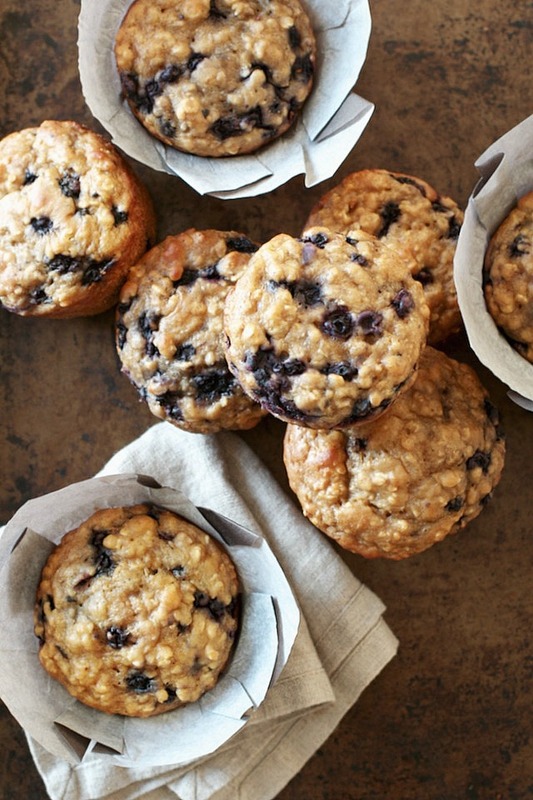 Though having a regular blueberry muffin for breakfast is fine once and while, if you want to make it a consistent breakfast staple, make sure pick a healthy, and tasty, recipe like this one. Whether you’re a reluctant breakfast eater or someone who gets up early every day to cook for yourself, there’s something here from everyone. The best thing about breakfast is that there really aren’t any rules. Most kinds of breakfast foods and recipes can be easily modified to fit everyone’s individual preferences. Breakfast has some of the tastiest foods associated with it, and it’s definitely an important meal, so hopefully these recipes will make waking up a few minutes earlier feel worth it. Do you have a favorite easy breakfast recipe? Feel free to share in the comments!